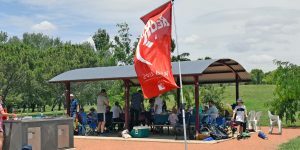 The Red Roos club has something to offer orienteers of all levels of ability and interest. We welcome newcomers of all ages and members are always ready to offer help and advice about our ‘sport for life’. 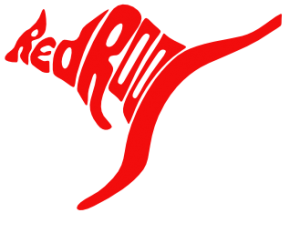 After climbing out of the pouch of the Red Kangaroos (Vic) in 1975, the ACT club name was changed to Red Roos in 1983, and since then we have gone on to attract members from throughout Canberra and beyond, becoming one of the bigger clubs in Australia. Red Roos club members have enjoyed success at all levels, with the club providing many members of Australian teams over the years for the World Championships (WOC), World Cup, World Mountain Bike Orienteering (MTBO) Championships, Junior World Championships (JWOC), Australian New Zealand Challenges etc. Members enjoy travelling to the World Masters Orienteering Championships wherever in the world they are held. The club is the most successful in the Australian Champion Club competition, having won the first four titles and 11 of 33 in total since the inception of the competition in 1984. In the ACT, Red Roos filled 4 of the top 10 places in the ACT League each year from 2013 to 2016, with Red Roo Jo Allison league champion in 2015 and 2016. The club continues to provide many coaches, officials and administrators at both ACT and national levels, with two recent national presidents having been Red Roos. In addition to coordinating numerous events throughout the orienteering year, members enjoy a smart competition uniform and regular social gatherings.